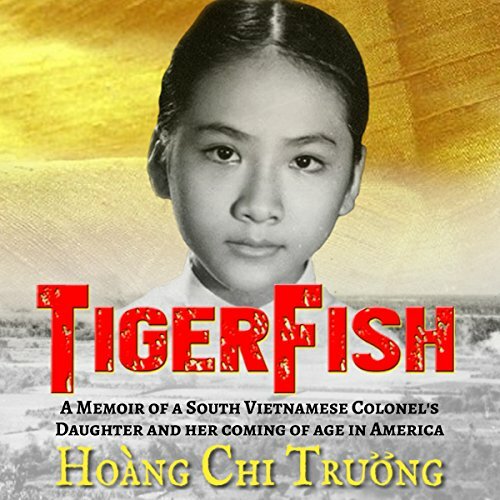 A memoir of a South Vietnamese colonel's daughter, chronicling the tumultuous years growing up in the war-torn country of Vietnam and the abrupt and brutal regime change that forced her disruptive and disorienting coming of age between two vastly different cultures. Even better than the book! I had the opportunity to read the paperback and I was always curious about the proper pronunciations of the words and names and hearing the author pronouncing them right (instead of the butchering in my head) was fabulous. I also felt the emotion of the book even more as the author described her experiences. An excellent story by an author who takes us to her world and her toughts during such a difficult time in a young girl's life. Being an immigrant myself, though not a refugee, I could relate to a lot of her experiences learning a new language, making friends, finding acceptance and adapting to a whole new custom and traditions. A must listen/read! This is an interesting story but devoid of any real insight. The writing style is very basic, full of cliches and disjointed transitions. Descriptions like “leathery lips” and “beady eyes” made me cringe. Nonetheless I kept with it to the end to see how it finished.